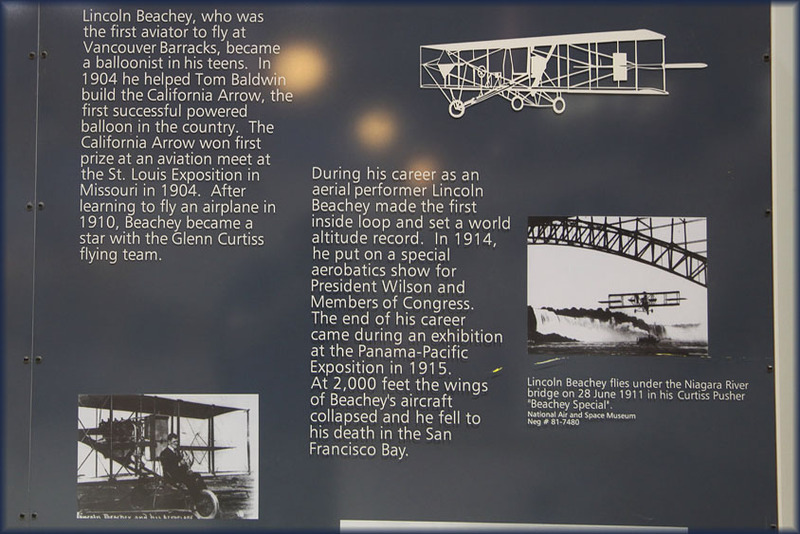 In 1905 an airship, piloted by Lincoln Beachey, used the site. 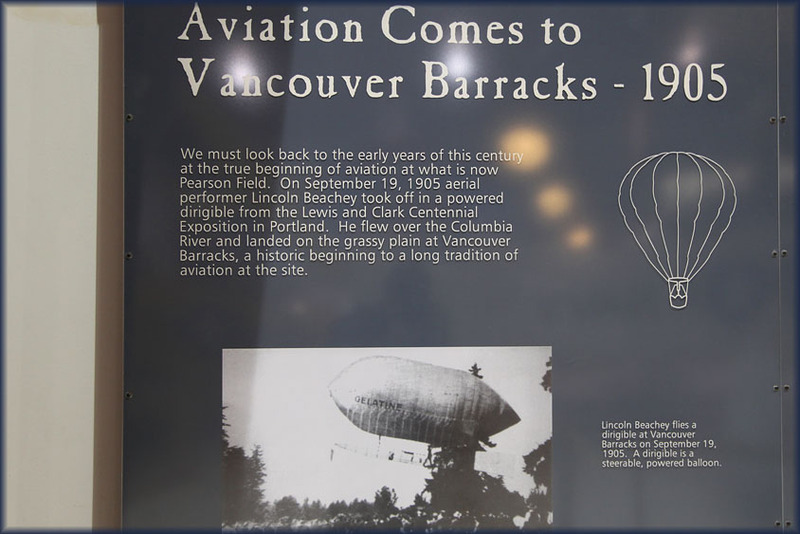 Six years later an aircraft took off from the polo fields of the Vancouver Barracks. 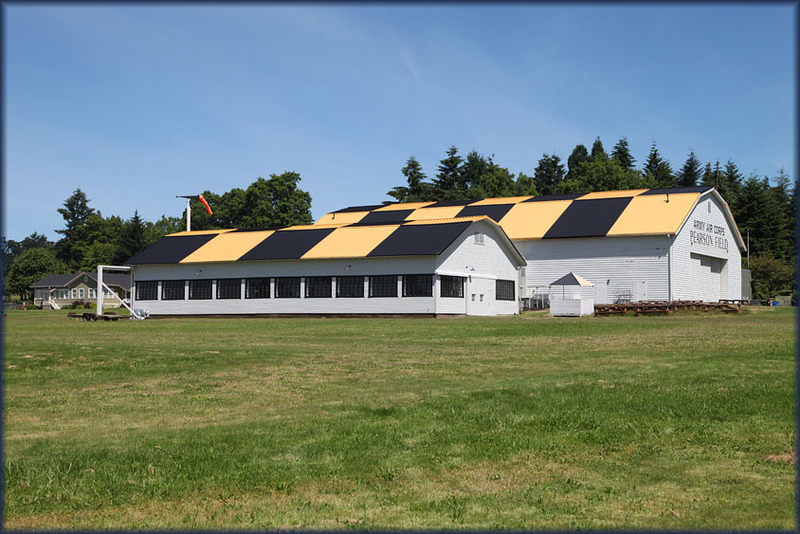 The Army Air Service set up a base in 1921 and an adjoining civil field was constructed. 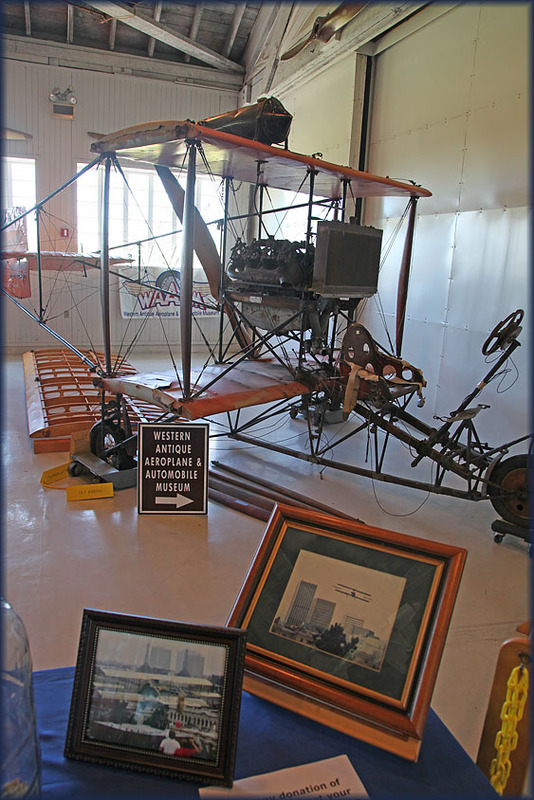 Lieutenant Alexander Pearson, a local resident, won the 1919 speed contest from New York to San Francisco and back. He also undertook the first aerial survey of the Grand Canyon, and was killed in 1924 whilst practising for the Pulitzer Races. 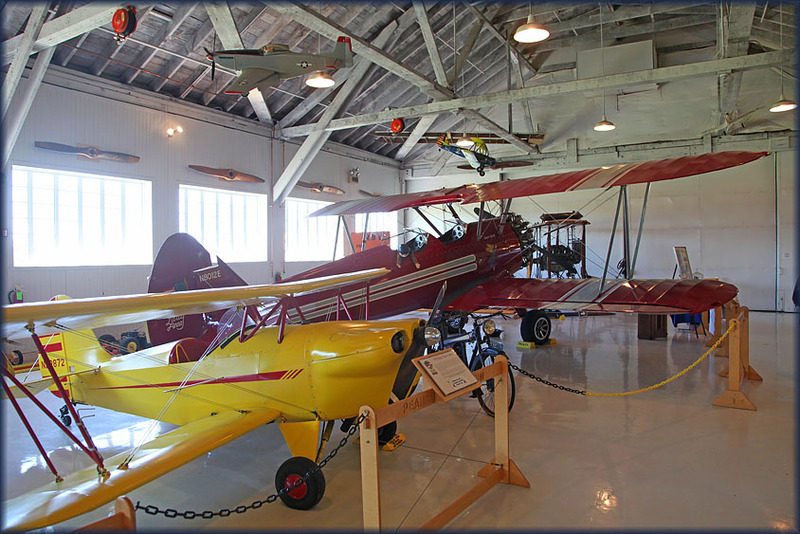 The airfield was visited by the Douglas DWCs on their 1924 round-the-world flight and was also a stop on the original West Coast air mail route. On 20Jul1937 the Tupolev ANT-25 piloted by Valery Chkalov landed at Pearson after a 63-hour journey from Moscow! 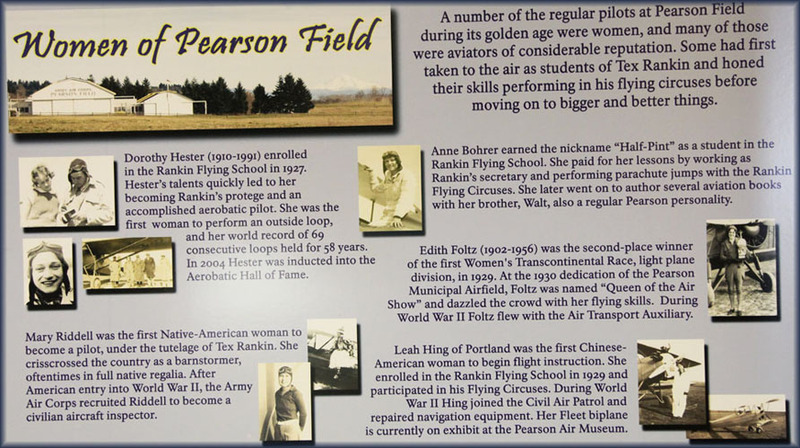 This was the first non-stop trans polar flight and a memorial can be seen on the southside of the field. 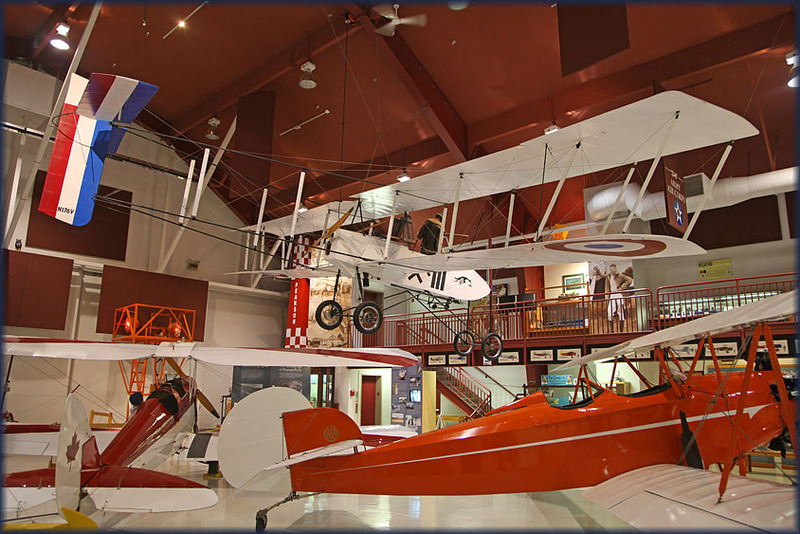 The museum was set up in the early 1990s to preserve this rich heritage. 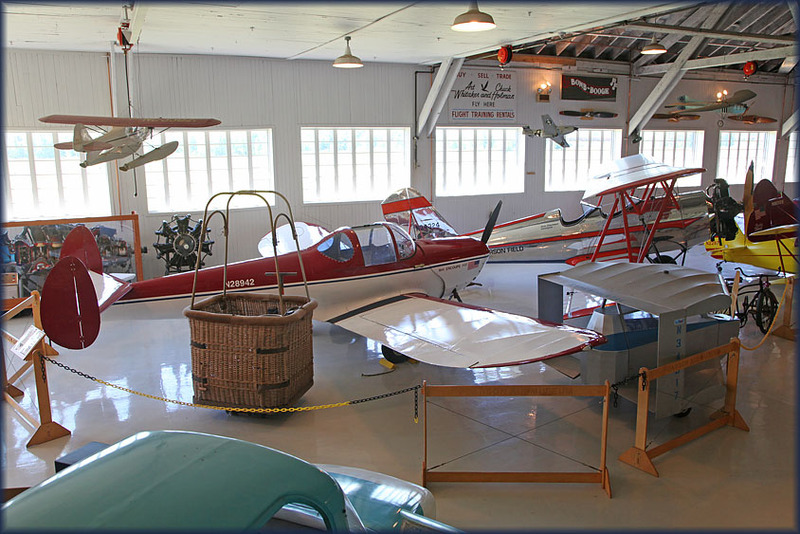 A hangar was obtained and several local owners loaned their aircraft to the display. 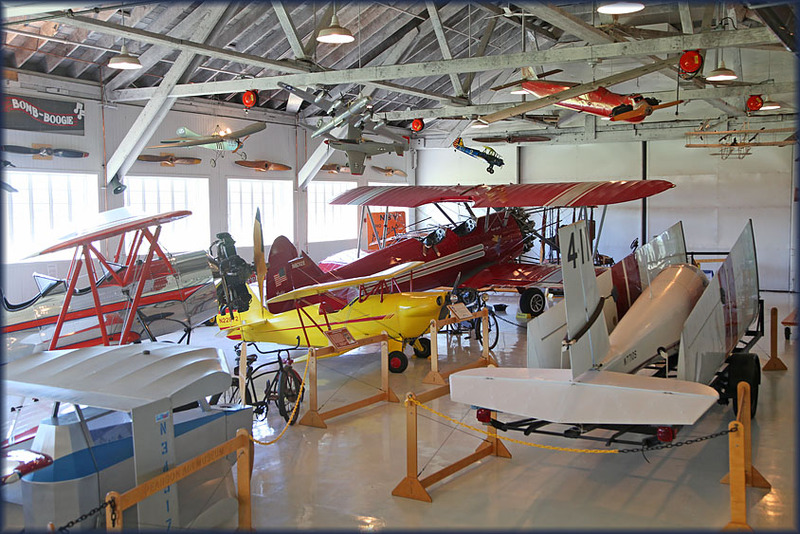 A move has been made to an early hangar which has been superbly restored and enlarged. 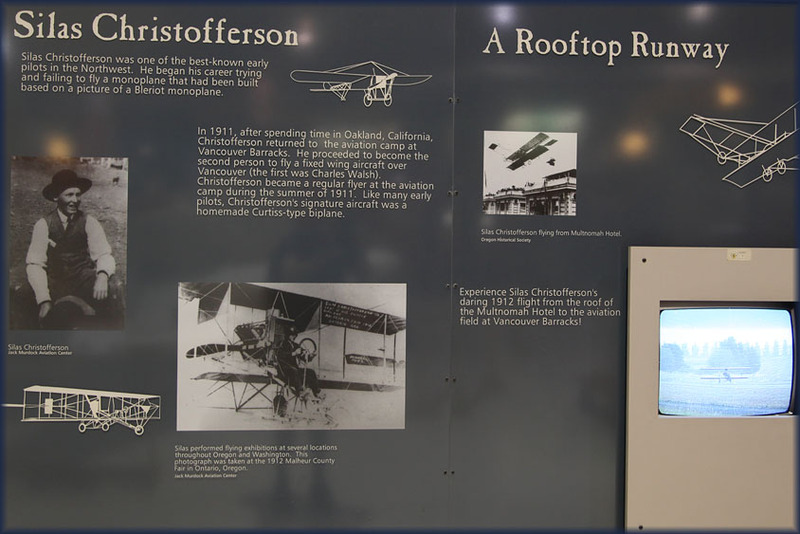 It was flown in 1912 from the roof of the Multnomah Hotel in Portland, piloted by Silas Christofferson. 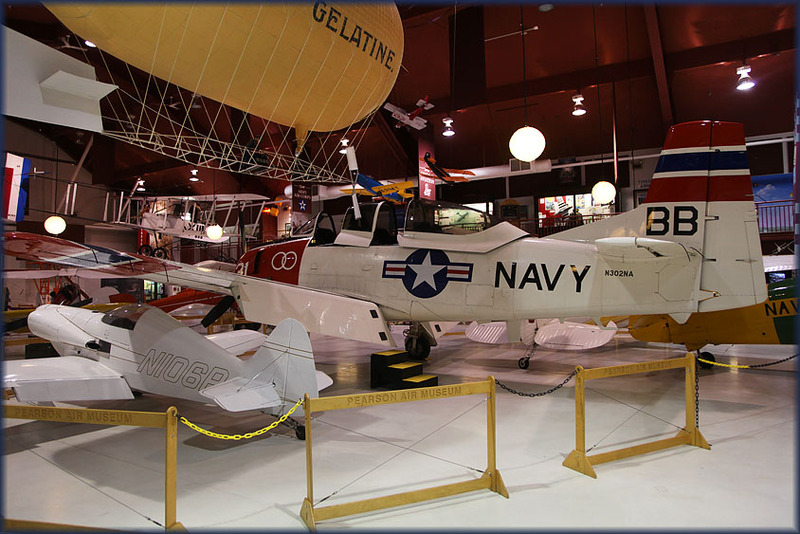 And in 1995 this was done again, in a full blown airworthy replica (this one? 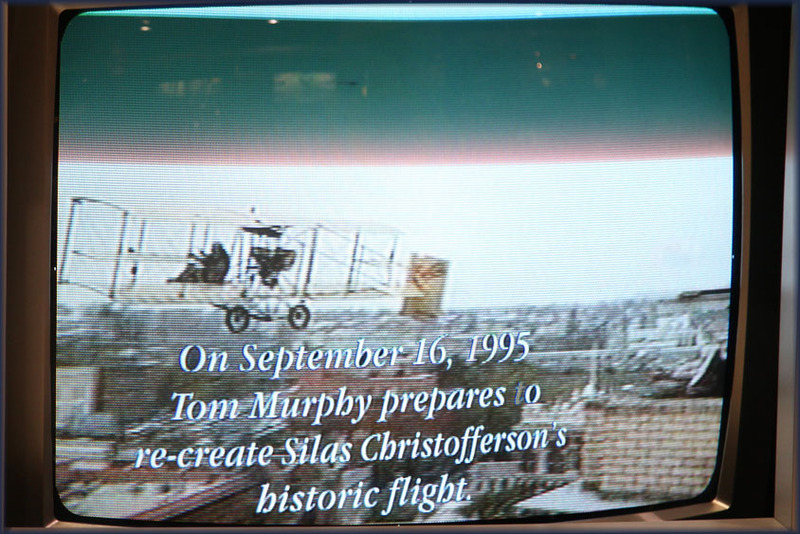 ), piloted by Tom Murphy. Or is this one the original, and the one on the ceiling of WAAAM the 1995 replica? 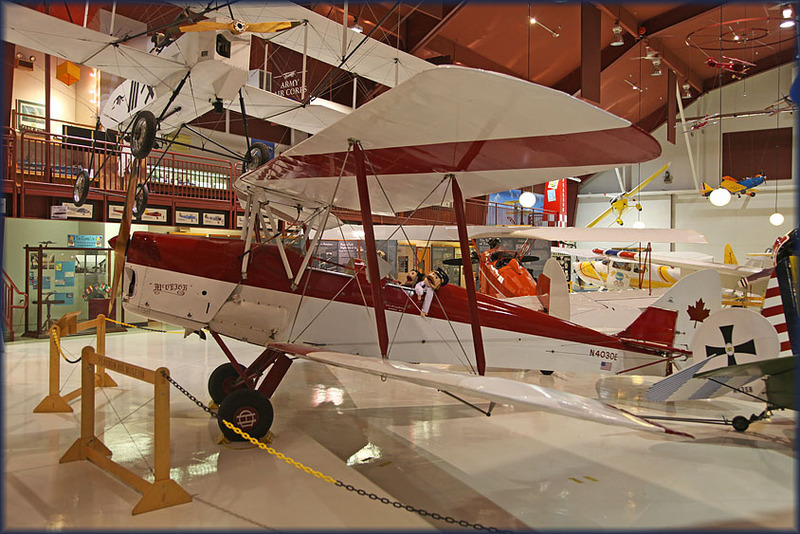 Another replica can be found in Evergreen's Aviation and Space Museum, in McMinnville,OR. 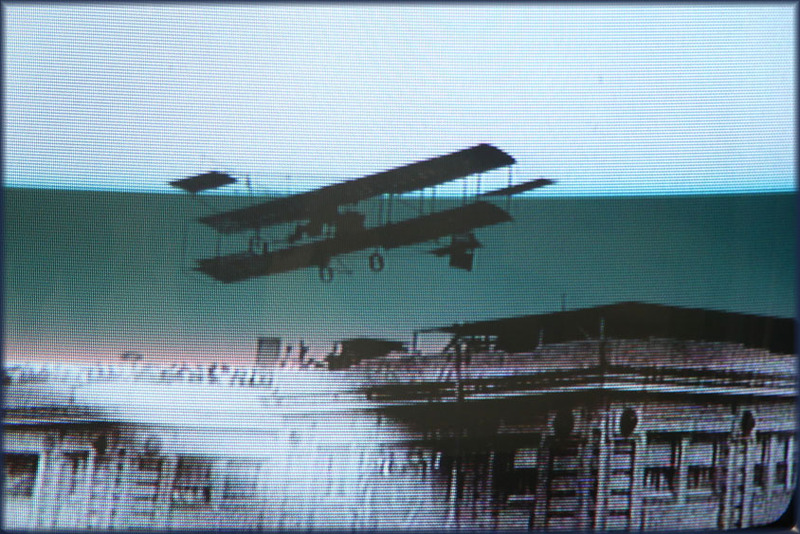 The above image was taken from the video footage shown in the museum (two images pasted together by me). 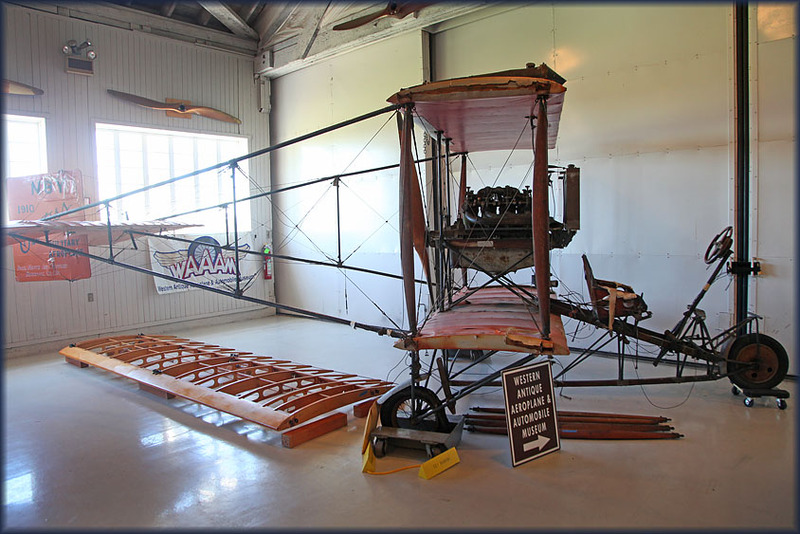 Imagine taking off from a rooftop in a contraption like this..? Would you? 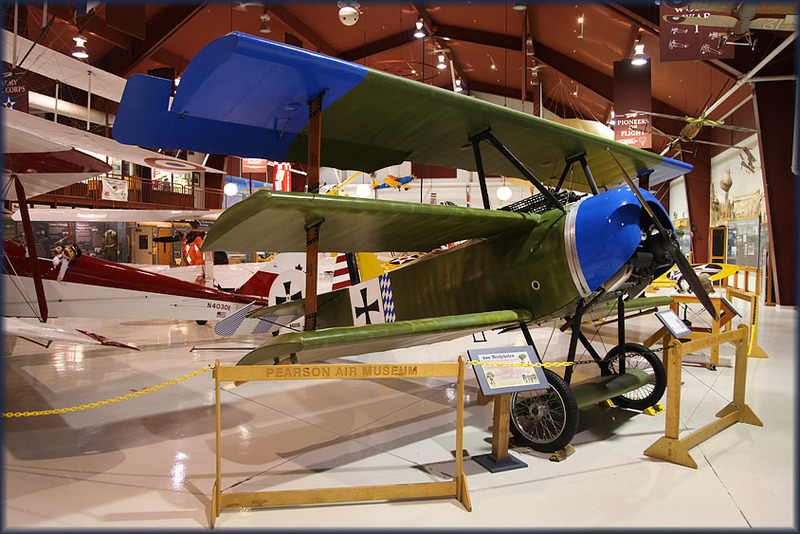 Voisin LA-III (Replica) N176V; the website of the museum states only three exist in the world. (c/n DHC.903) and foreground Fleet 7 NC794V (c/n 375). 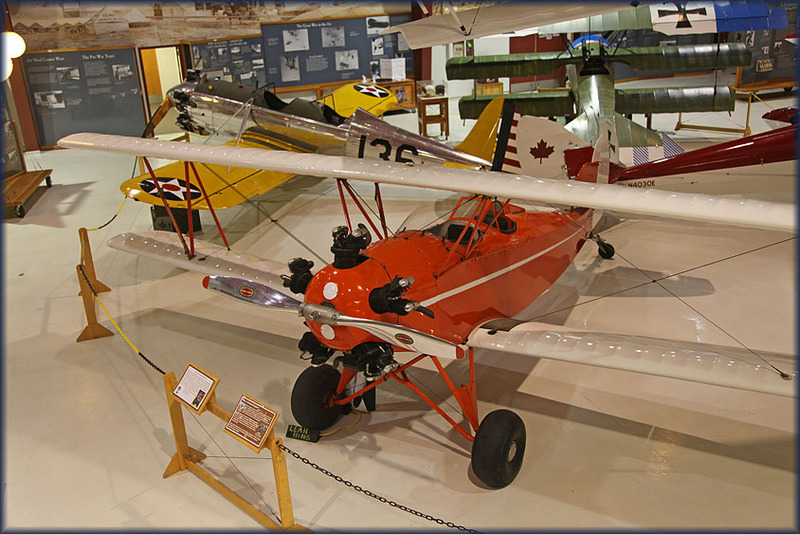 The Fleet Model 1 (originally the Consolidated Model 14 Husky Junior) and its derivatives were a family of two-seat trainer and sports plane produced in the United States and Canada in the 1920s and 30s. 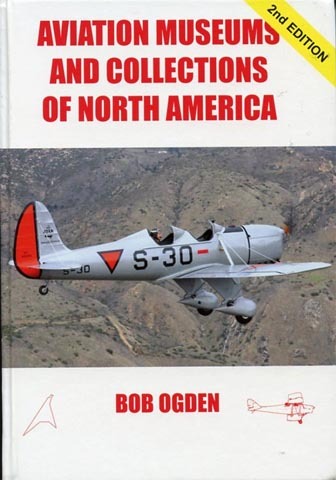 They all shared the same basic design and varied mainly in their powerplants and were all orthodox biplanes with staggered, single-bay wings of equal span and fixed tailskid undercarriage. 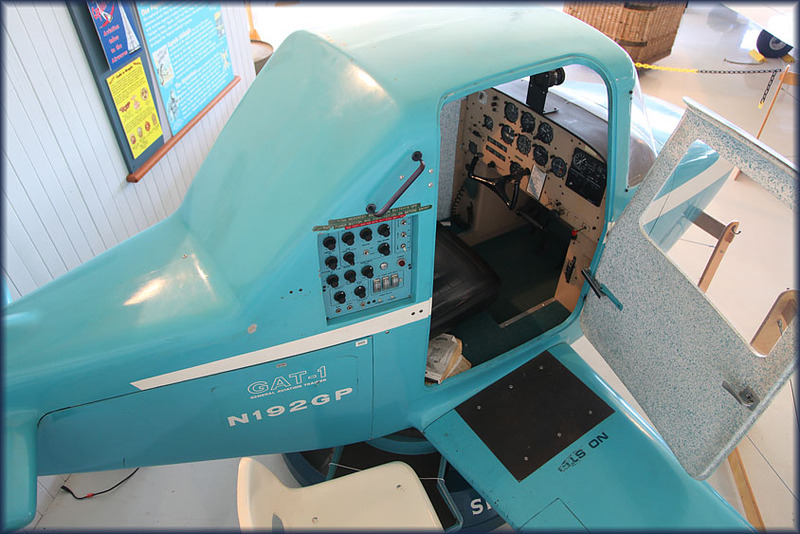 Accommodation was provided for two in tandem, originally sharing a single open cockpit, but in most examples in separate open cockpits. 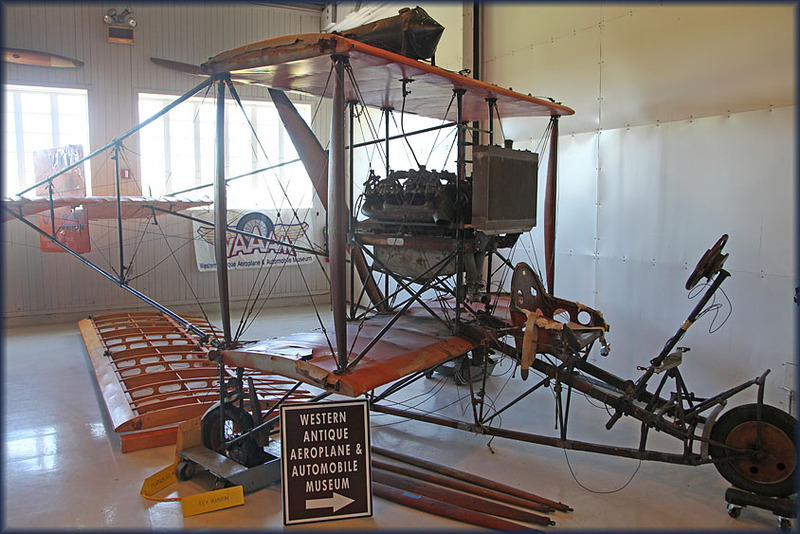 Wikipedia has more on this aircraft and variants; the museum lists it as a Fleet 2, but my Air-Britain has it as a Fleet 7 - Wikipedia explains the modifications in a chapter on 'variants'. 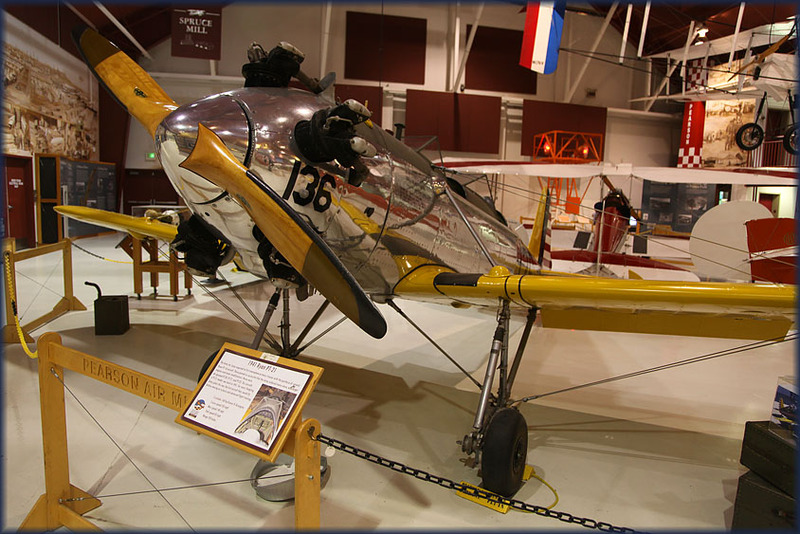 Another shot of the Ryan PT-21 Recruit: note that beautiful wooden prop! T. Claude Ryan was the founder of the Ryan Aeronautical Company, the 2nd incarnation of a company with this name, and the 4th company with which he had been involved to bear his name. 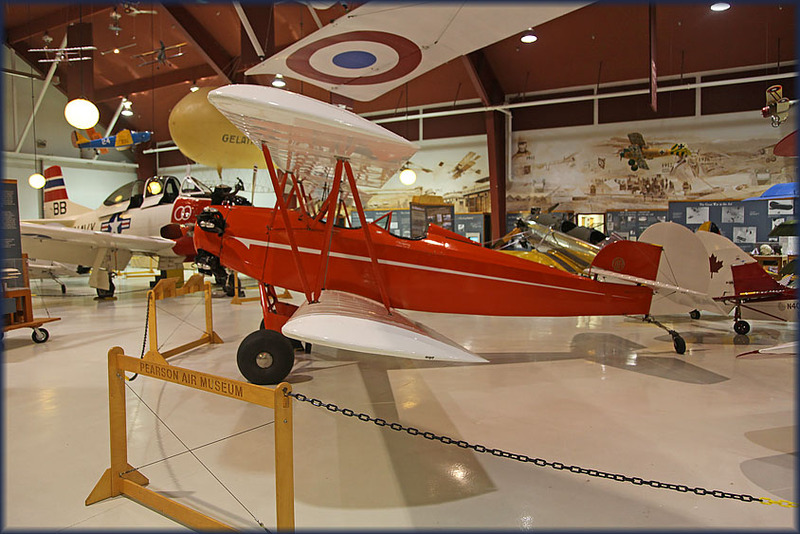 The first, Ryan Airlines, was the manufacturer of the Ryan NYP, more famously known as the Spirit of St. Louis. He began the development of the ST (for 'Sport Trainer', and also known as S-T), the first design of the company, in 1933. 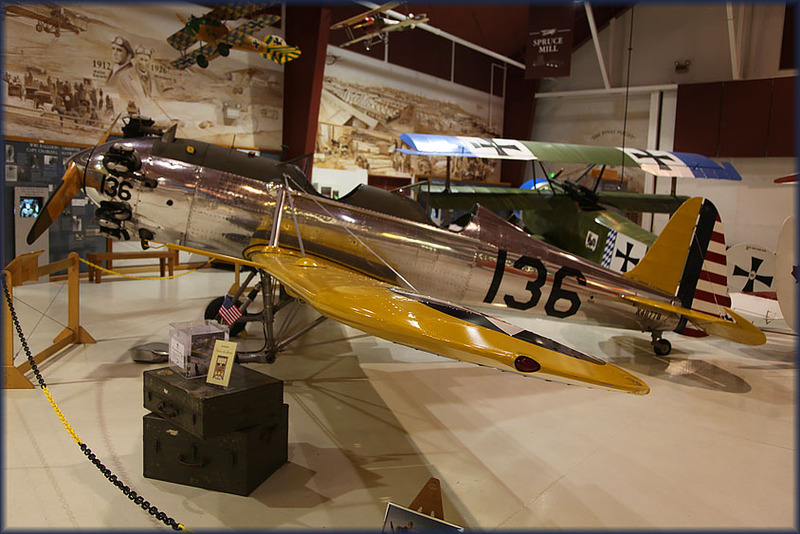 PT-21 was a military variant and a production version of the ST-3; 100 were built. 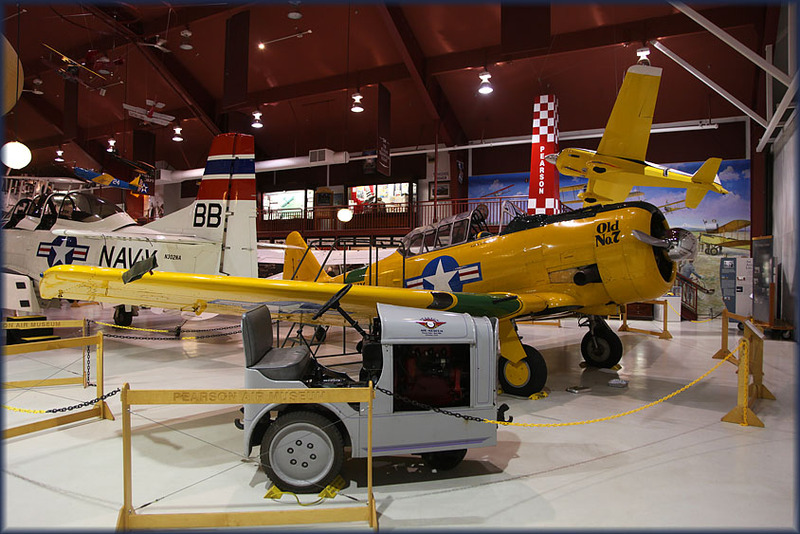 an earlier date showing this T-28A residing here; privately owned?). Serial 51-3725A, manufactured 1951. 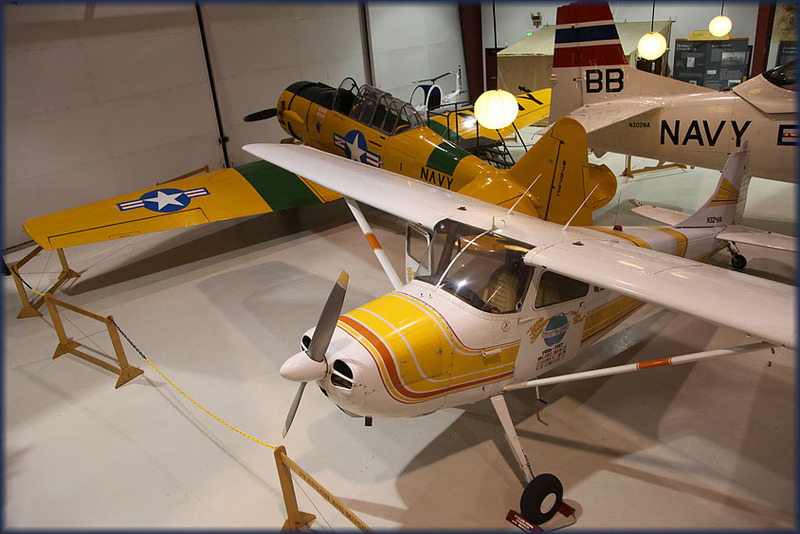 I regretted to find WACO ASO N4W missing from the display; maybe planes were traded? 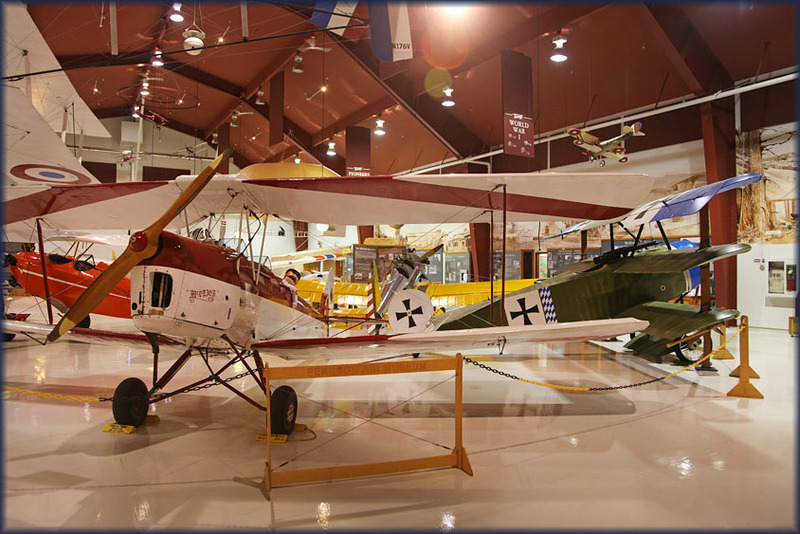 On the right, with the folded wings: Schweizer SGS 1-26D N7710S, a glider. In the foreground, left, Trotter WSA.1 N34517 (c/n 001), but I don't really know what that is..
That beautiful red biplane in the background is BOEING/MEHRER A75N1 N8012E (c/n 75-3040-A4) 'Lady Anna'; could this be the "Boeing-Stearman PT-27 Kaydet N58617 (c/n 75-3937, ex/ 42-15748)" which my Air-Britain guidebook had listed here.? 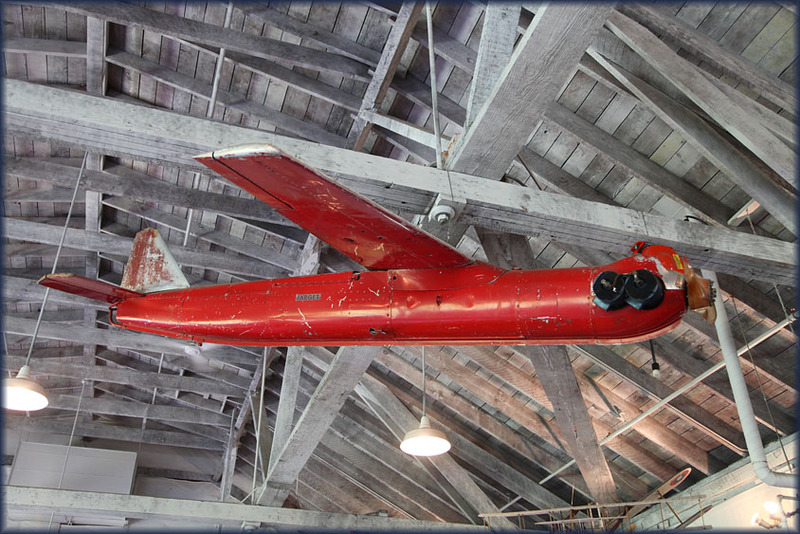 A target drone; the one that got away..?!! 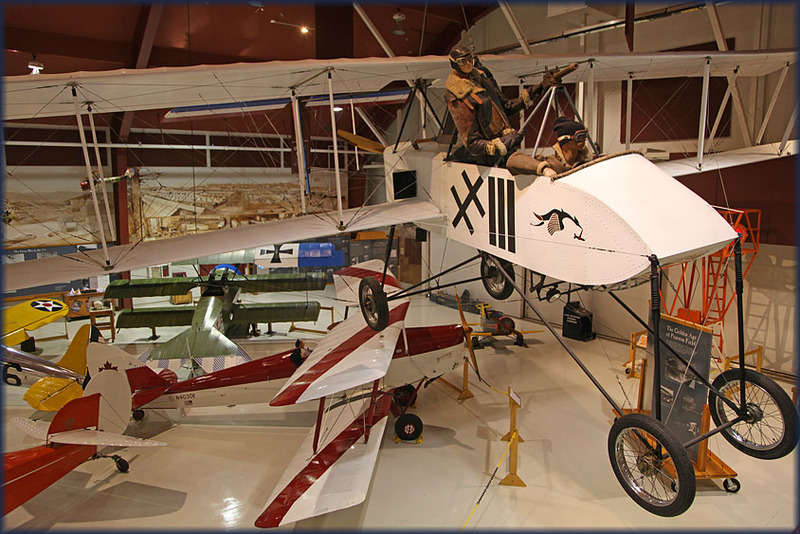 arrival of the record braking Russians, there is a very nice display you should not miss when visiting this museum!